Andrew Murawa is an RTC correspondent. He filed this report after the Round of 64 NCAA Tournament game between #3 New Mexico and #14 Harvard in Salt Lake City. The Great Equalizer. For a program with no NCAA Tournament wins in their history, you need a special performance to get your first. And if you ain’t got great size and athleticism, there’s one thing you can do make up for your weaknesses: knock down threes. And Harvard did that in abundance tonight, getting five threes from Laurent Rivard and three from Christian Webster, mostly all on drive-and-kick opportunities. But eight threes isn’t enough to pull off an upset of this size and the Crimson did plenty of other things to get themselves over the top. Perhaps it was in part due to the fact that some early threes opened things up inside for them, but as it turns out, Harvard wound up shooting 14-of-24 from inside the three-point arc, getting scoring from Wesley Saunders, Kenyatta Smith and Siyani Chambers inside. The three-point shooting will get the pub, but the Crimson played a complete game. Inconsistent Scoring From Guards. I’ve harped on it all season long, but these New Mexico guards are awful hard to trust. When things are going good for them, the trio of Kendall Williams, Tony Snell and Hugh Greenwood are about as fine of a trio as you’ll find in college basketball. But when things aren’t going well, they can get hard to notice. Take Williams for example. You probably remember Williams going for 46, or maybe you remember him sending in a 360 dunk to seal the Lobos Mountain West tournament title game against UNLV. Or even an inexplicable MW Player of the Year award. Tonight he was nearly invisible en route to just eight points, along with no assists. And Snell? 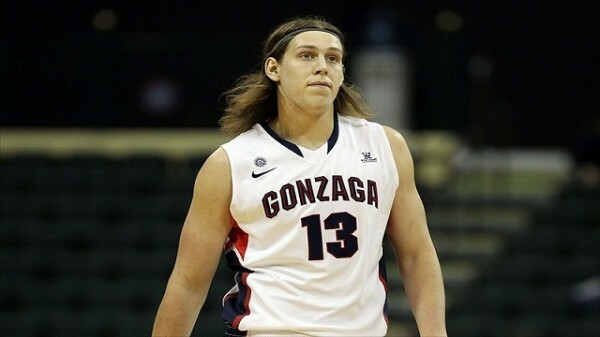 He was much better than Williams, but after the Mountain West tournament he was the toast of the town. Tonight just 4-of-12 shooting and 1-of-6 from deep for nine points. All told, the three New Mexico guards combined for 17 points on 21 field goal attempts with just four assists. Mountain West Gone South. We’ve heard all about how the Mountain West is one of the best conference’s in the country, second in the RPI, deep and talented and with several teams capable of making runs in March. Well, to put it nicely, today was not a good day for the conference. The teams with arguably the best chances of making deep runs – New Mexico and UNLV – bowed out. Coupled with Boise State’s loss last night, the conference’s only bit of good news was Colorado State’s win over Missouri today. San Diego State plays tomorrow, but for a conference with an abysmal record in NCAA Tournament play, this has been a terribly depressing couple of days for the conference. Star of the Game. 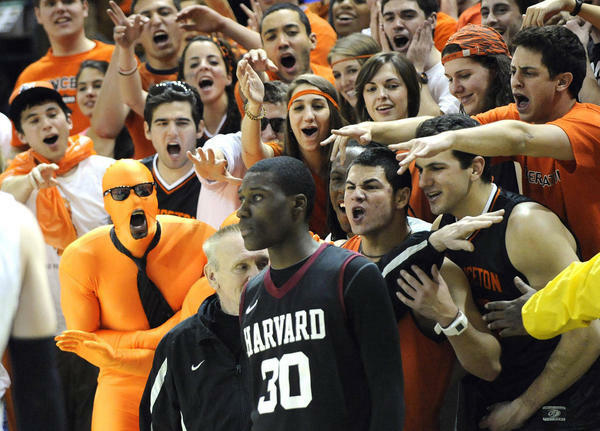 Kenyatta Smith, Harvard. On a team built around a quick point guard and a bunch of three-point shooters, you need someone to do the dirty work, especially against a team with as much size inside as New Mexico features. And tonight, Smith did that dirty work with pride, standing up to Alex Kirk and Cameron Bairstow time and time again as the Lobos repeatedly tried to take advantage of the undersized Crimson inside. Kirk and Bairstow got their points, although not often in the 19 minutes Smith played, and Smith made them work for it. And, despite picking up his fourth foul early in the second half, Smith stuck around long enough to make some key plays down the stretch. One For The Record Book – While Yale’s 69-65 victory over Princeton sent shock waves throughout the league, the score itself obscured the myriad storylines, ranging from interesting to bizarre, hidden beyond a cursory glance. The Tigers saw their 21-game Ivy home winning streak come to an end – a run which extended all the way back to the 2009-10 season. The victory helped push the Bulldogs into a tie for third in the league and put Yale back on pace to finish in the Ivy’s upper division for the 13th consecutive season. Also, it marked just the seventh time in the Academic Index era (dating back to 1980) that a team pulled off the back-to-back sweep of Pennsylvania and Princeton on the road. The game itself was very strange, as both teams posted effective field goal percentages over 60% and each offense rebounded over half of its missed shots. High Octane – After spending most of the non-conference slate struggling mightily to score the basketball, the eight Ivies have experienced a veritable explosion on the offensive end during league play. Every team has seen its offensive efficiency rise, as the 14-Game Tournament has seen Ivy teams score an average of six points more per 100 possessions than they did during the non-conference slate. True-shooting percentage has risen substantially in league play as teams have started getting to the line more and converting a greater percentage of their three-point shots. 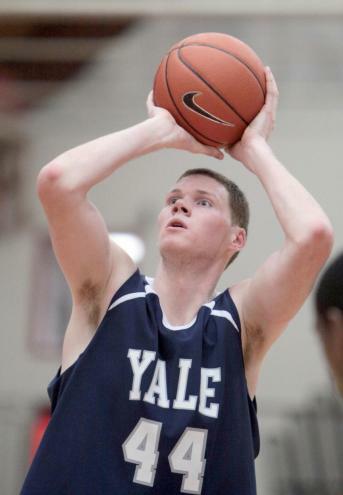 Dropping threes is a great equalizer for an underdog, and sure enough, the league’s two biggest upsets to this point (Yale over Princeton and Columbia over Harvard) have seen the favorites succumb to a barrage of trifectas from their opponents. The Tigers continue to roll, but an unbalanced schedule has Princeton playing seven of its final nine on the road. Harvard may have lost its first game of the season on Thursday night by double figures, but there were plenty of positive signs that came out of their efforts at No. 9 Connecticut. Tommy Amaker’s team looked like it belonged on the floor against UConn, able to handle physical play and hit tough shots against the defending national champions. Few teams in the country are as physically dominant as UConn, and the Crimson will not play another team with that kind of athletic superiority unless or until they reach the NCAA Tournament. Based on how they competed against one of the top teams in the nation on an off-shooting, ineffective night, Harvard looks like a team that will in fact get that opportunity in March. 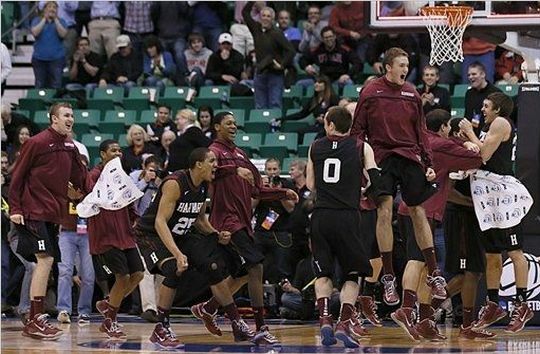 The Huskies have a far more athletic roster than the Crimson, and this showed throughout the game. 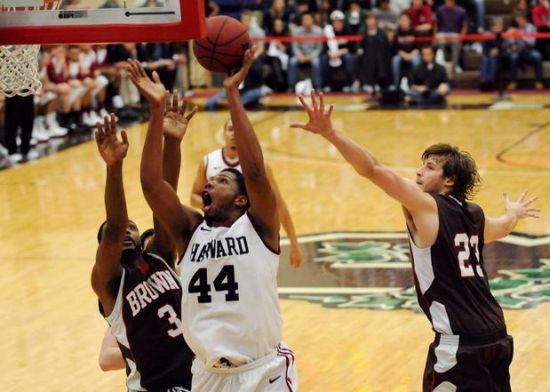 Harvard’s leading scorer, Keith Wright, had no room to operate while being defended by Alex Oriakhi and, mainly, Andre Drummond, two of the top interior defenders in the nation. Wright converted just 3-10 field goals and finished with only nine points. He also did not get double-teamed upon receiving post entries, so there were no open shots for his teammates when he made post moves near the basket. Give Connecticut all the credit for executing its defensive game plan to shut down the Crimson’s number one option. Additionally, Harvard couldn’t knock down a high percentage of perimeter shots (7-21 from three) nor stop UConn from converting theirs (7-14). They also turned the ball over a couple of times more than their opponent. 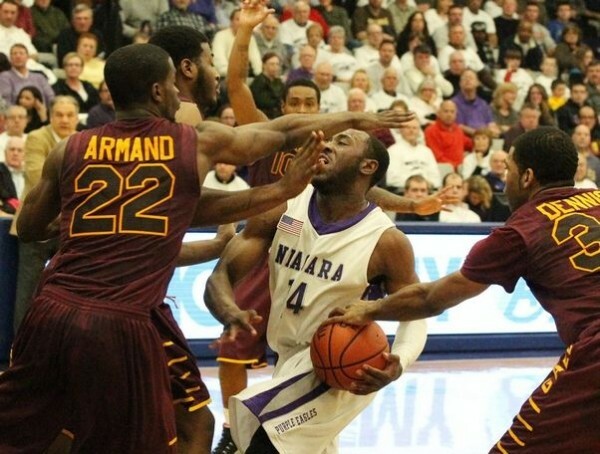 Again, credit goes to Jim Calhoun’s team full of long, athletic players for defending the perimeter at a high level.